Midweek podcast: NAFTA pressure ramps up and does floor crossing pay off? This week on the midweek podcast, Chris digs into the latest on the NAFTA talks with Laura Dawson as prominent U.S. politicians vent about Canada's negotiating tactics. Then, University of Montreal PhD student Semra Sevi walks us through her analysis of the risks of political floor crossing - does the gamble work? 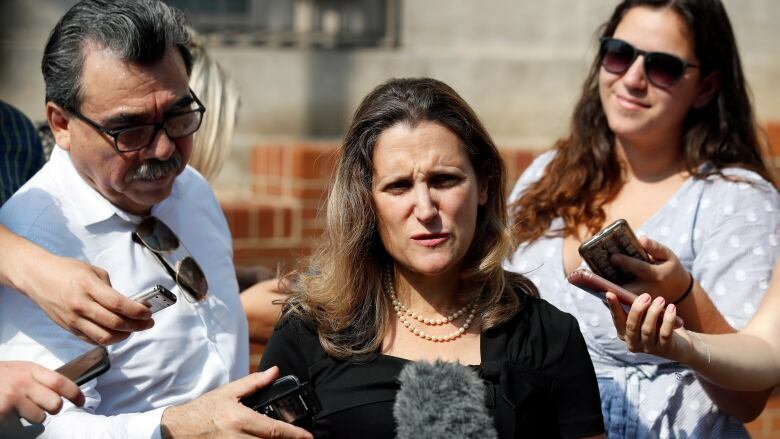 While Foreign Affairs Minister Chrystia Freeland proudly touted Canadians' national aptitude for compromise Wednesday in Washington, prominent U.S. Republicans have been singing a different tune. "I think it's really important Canada comes to the table in a serious way," said GOP representative and chairman of the House Committee on Ways and Means Kevin Brady. "Canada is not an easy trading partner." Then there was Republican House whip Steve Scalise, who slammed Canada's hardball negotiating tactics and admitted a "growing frustration with many in Congress" over the delay in arriving at a deal. The harsh words reveal a mounting impatience on the U.S. side, said Laura Dawson, director of the Canada Institute at the Wilson Centre in Washington. But Dawson cautions against assigning too much weight to the GOP's threats. "They've got a political clock ticking," Dawson said. "It's not that Canada can disregard Congress, but at the same time, they have to be on a trade negotiator's schedule, not a politician's." That doesn't take into consideration the ever-unpredictable Trump factor, though. "The president could pull the plug at any moment. What I'm watching, though, is what's changing in negotiating texts, in press releases and releases from the U.S. side. And what I see is a much more conciliatory, cooperative tone," said Dawson. As for the likelihood of a deal by the Oct. 1 deadline, Dawson said that she doesn't "see any real obstacles in the way," adding that she thinks the U.S., Mexico and Canada are all eager for a deal. "I think these negotiations have hit their sell-by date for all three countries." The fall sitting of Parliament got off to a dramatic start Monday with MP Leona Alleslev's decision to turf Trudeau and turn Tory. 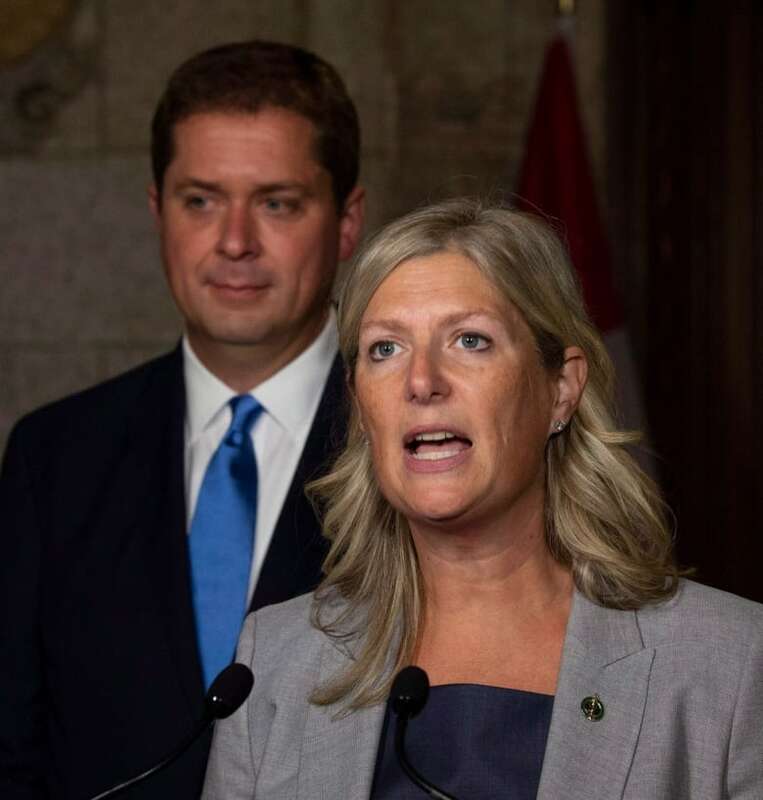 The former Toronto-area Liberal's switch to Andrew Scheer's Conservatives provoked a variety of responses from her new and former caucus colleagues. Meanwhile, a new analysis looks at how voters respond to floor-crossers, and the results are revealing. "We initially thought there might be a difference, that certain types of switchers might be punished more by voters," said Semra Sevi, a PhD student at the University of Montreal and one of the authors of a new study in the Canadian Journal of Political Science. "But you're punished [at the ballot box] about the same, whether you switch to the opposition or to the government." The electoral price floor-crossers pay for their shifting allegiances is a newer trend in Canadian politics, Sevi added. "The party system has changed. Floor-crossing used to be fairly common, and MPs used to switch parties with relative ease, but those days — in the early years of Confederation — are long past," she said. "Individuals were able to stand on their own name ... the role of parties in Canada has changed that."